What is the Certified Emergency Nurse (CEN) Certification? The Certified Emergency Nurse (CEN) certification exam is one of the requirements for professionals seeking to attain initial CEN certification. It is a Board of Certification for Emergency Nursing (BCEN) exam designed to enhance performance of individuals in emergency nursing while elevating overall professional standards in the field. By successfully taking and passing the exam, Registered Nurses can demonstrate they have the knowledge needed for competency to practice in emergency nursing care, in addition to commitment to continuing education to continually provide quality care. The exam is specific to emergency nursing and is only open to candidates that already hold a current, unrestricted Registered Nurse license or equivalent nursing certificate. While not required, BCEN also recommends candidates have two or more years of experience in the emergency department. To register to sit for the examination, you will need to complete an online application for eligibility and pay associated fees. Paper applications are no longer accepted by BCEN. After your application has been received, it will be reviewed by BCEN within approximately four weeks. Once a decision has been made, you will receive an exam eligibility e-mail explaining next steps and your 90-day testing window. Then, to schedule an appointment to take the CEN, you will select a Pearson VUE testing center and available exam date and time. You will be given the option to do this online or on the phone. If you need to change your CEN appointment, you are required to do so within 24 hours prior to your exam date and time. You will only be allowed to do this one time and the new appointment must still fall within your original 90-day testing window. If you fail to appear for your appointment time, you forfeit all paid fees, and no fees will be refunded once an exam appointment has been schedule. If you choose to retake the CEN exam after the approved 90-day window, you will need to submit a new application and payment to re-apply for eligibility. 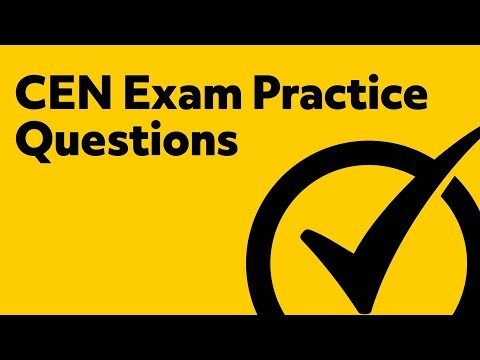 The CEN exam is a computer-based certification exam that consists of 175 questions, with 150 of these being scored and 25 unscored pretest items. You will have a total of 180 minutes, or three hours, to complete the exam. Time will begin once you are seated and presented with the BCEN Examination Rules and Regulations agreement screen. Every BCEN exam is based on specialty nursing role delineation studies (RDS), or practice analysis or job analysis, so you can anticipate the same for the Certified Emergency Nurse examination. These studies are conducted by exam committees comprised of applicable subject matter experts. To determine which tasks and knowledge areas will be presented on the exam, the exam committee distributes survey instruments throughout the United States. As the exam is developed, item writers will create exam questions based on appropriate integrated concepts and cognitive level distribution. What is the CEN certification? The CEN certification is the Certified Emergency Nurse certification. The CEN exam covers a variety of topics that are related to emergency nursing and medicine. The initial CEN exam costs $230 for ENA members. For those who are not ENA members, the cost is $370. To become CEN certified, you must currently be a Registered Nurse and have two years experience in the emergency department. The CEN exam consists of 175 multiple-choice questions. Out of the 175 questions on the exam, only 150 of the questions are counted towards your final score. The total time to take the CEN is roughly 3 hours. There are 150 scored questions on the CEN exam. To be considered as passing the CEN exam, you must have answered 109 questions correctly. This is equal to around 75% of the 150 questions being answered correctly. All Pearson VUE testing centers are designed to be safe and quiet to allow test-takers to perform at their best and give everyone equal opportunity to demonstrate their capabilities. 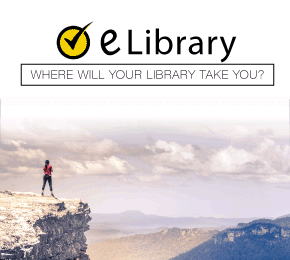 If this is your first time taking a computer-based examination, you should consider utilizing the resources available to you through Pearson VUE to familiarize yourself with functionality prior to test day. Otherwise, when you arrive at your testing center, you will need to complete an admissions process before being seated to begin your examination. Great CEN Exam Review Tips. How to PASS! There are no curves based on the performance of other candidates taking the CEN exam. Instead, Your CEN score is based solely on your individual performance and is determined based on the number of questions you answered correctly. In order to successfully pass the examination, you are required to correctly respond to 106 of the 150 questions. Almost immediately upon completing the examination, you will be given a score report that indicates a pass or fail before you leave the Pearson VUE testing enter. Your score report will also include your digital color photograph for security and identification purposes. If you passed the exam, you will receive a certificate and wall card in the mail within 10 business days following your exam date. Successful completion of the certification exam allows emergency nursing care professionals to use these credentials for formal recognition in their field for a period of four years, at which point recertification is required. If you do not receive a passing score on the CEN exam, you may be eligible to retake the examination. Before you may submit a re-test application, you will need to wait for a period of 90 days. 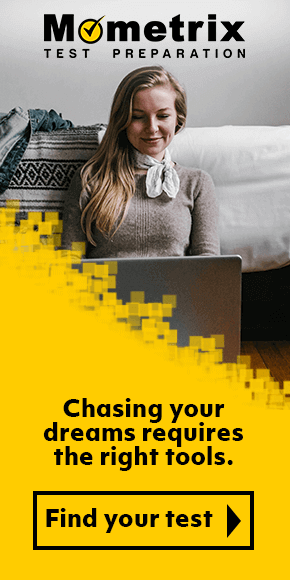 You are permitted an unlimited number of attempts to pass the certification exam, but you are required to abide by the 90-day waiting period between attempts and re-apply for each attempt. As you prepare to take the Certified Emergency Nurse exam, it is important to assess your current level of knowledge and skills in order to create a study plan. Creating a study plan that incorporates CEN review and CEN practice will help you prepare as adequately as possible to achieve success on the examination. 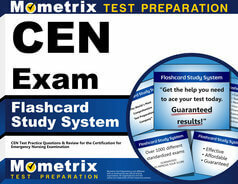 To help you pass the exam, Mometrix has prepared CEN exam materials, including a CEN practice test with practice questions and a CEN study guide that further outlines the content and topics you may encounter on the actual examination. Mometrix Academy is a completely free CEN certification resource provided by Mometrix Test Preparation. If you find benefit from our efforts here, check out our premium quality CEN study guide to take your studying to the next level. Just click the CEN review book link below. Your purchase also helps us make even more great, free CEN review content for test-takers. Our customers love the tutorial videos from Mometrix Academy that we have incorporated into our CEN test study guide. The CEN study guide reviews below are examples of customer experiences. Good book, lots of great information in here. Gives you want you need to know without rambling on. Explanations are to the point, and covers everything. Haven’t taken the exam yet, but am going to register soon. Also includes practice test, unlike most study guides, which is very helpful. So far I am very impressed and so are others I work with. I bought this book after many good reviews from coworkers and a few have purchased after looking this book over. It is right to the point and easily understood. I purchased the CEN EXAM SECRETS STUDY GUIDE book. I am rating the book a 5 out of 5! It’s been a great study book and I am learning so much from it. It gives me information that I need and quick definitions of terms. It’s a great refresher book as well. I am new to ER nursing and this book has been very helpful! The book has medical conditions, symptoms and expected treatments. I will definitely recommend this book to all my coworkers! Thank you! I rate this resource a 5 out of 5 since 1. it was affordable 2. the material in it is straight to the point (the info you really need to know 3. great to have the rationales to the answers (really reinforces learning) 4. transportable (easy to bring with you anywhere). It can cause anxiety for anybody who is preparing to take an exam, this guide is well worded, not overwhelming which helps alleviate some of that anxiety. Great product. Concise and to the point review. I like that there is a practice test in the back and feel prepared to take my exam in a couple months. Great practice exam in the back and highlights great topics. This is the main study tool I used for my exam. Almost everything that is on the exam is covered in this book, however not everything in this book will be on the exam! It was extremely helpful, I’ve been using it for 3+ months and I just passed my exam yesterday! The book breaks down everything so that it’s simple and easy to understand. If you’re planning to take the CEN, DEFINITELY buy this book. It WILL help! And the practice questions in the back are formatted very similar to the actual exam. I really like this book and have been recommending it to my co-workers. I like how the book breaks down the CEN Content Outline and offers explanations for each topic. I also like the questions with the rationales offered in the answer key. I have just started studying and it is an amazing learning tool. It is easy to follow and has lots of questions and explanations. This book came highly recommended to me by a fellow ER nurse, and I can see why! To get the most out of the CEN system, you should definitely purchase the flashcard systems and practice questions to go along with the book. The three products combined are a lifesaver. I am one that does not retain information very easily. These products really helped to learn the material and worked in tandem to help me retain the information that I needed to take the exam. The Emergency Nursing Examination is not known to be an easy examination and takes weeks if not months of preparations. Make sure you are as prepared as possible by using the proper study materials. The CEN Exam Secrets is a book, not a pamphlet. I was a little bit leery about purchasing when I read the reviews, but I am glad that I did. The study guide is clearly written by an expert in the field. They cover many great topics. It is a terrific comprehensive review guide.